Satisfy your inner culture vulture at National Archaeological Museum and Benaki Museum. 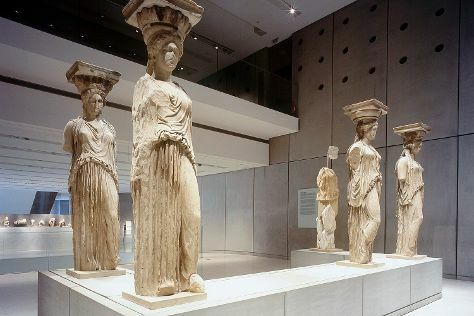 You'll explore and learn at Acropolis Museum and Kori. When in Athens, make a side trip to see Scuba & Snorkeling in Lagonisi, approximately 1h 25 min away. There's lots more to do: delve into the distant past at Acropolis of Athens, kick back and relax at Legrena Beach, appreciate the history behind Erechtheion, and surround yourself with nature on a nature and wildlife tour. To see ratings, reviews, and other tourist information, go to the Athens online route planner . Sao Paulo, Brazil to Athens is an approximately 19.5-hour flight. You can also do a combination of bus and flight. Traveling from Sao Paulo to Athens, you'll lose 5 hours due to the time zone difference. In July, Athens is somewhat warmer than Sao Paulo - with highs of 38°C and lows of 28°C. Wrap up your sightseeing on the 5th (Sun) early enough to travel to Istanbul. You'll explore and learn at Topkapi Palace and Kariye Museum (The Chora Church). Take a break from the city and head to Selale Parkuru and Bentler Tabiat Parki. Spend the 8th (Wed) exploring nature at Dilburnu Tabiat Parki. Spend the 10th (Fri) exploring nature at Irmak Tabiat Parki. And it doesn't end there: take in the spiritual surroundings of Sultan Ahmed Mosque, explore the ancient world of Basilica Cistern, and get engrossed in the history at Hagia Sophia Museum / Church (Ayasofya). For photos, other places to visit, maps, and other tourist information, refer to the Istanbul road trip site . Traveling by flight from Athens to Istanbul takes 5 hours. Alternatively, you can do a combination of flight and shuttle; or drive. Due to the time zone difference, you'll lose 1 hour traveling from Athens to Istanbul. Traveling from Athens in July, expect Istanbul to be little chillier, temps between 34°C and 23°C. Cap off your sightseeing on the 10th (Fri) early enough to travel to Tiberias. Do some cultural sightseeing at Sea of Galilee and Mount of Beatitudes. Escape the urban bustle at Hula Nature Reserve and Taninim Nature Reserve. Venture out of the city with trips to Mount Tabor (in Kfar Tavor), Hotem Hacarmel Nature Reserve (in Zichron Yaakov) and Susita (Hippos) Nature Reserve and National Park (in Ein Gev). The adventure continues: explore the striking landscape at Tabgha and contemplate in the serene atmosphere at Magdala. For other places to visit, traveler tips, reviews, and more tourist information, refer to the Tiberias online trip maker . Use the Route module to find suitable travel options from Istanbul to Tiberias. Traveling from Istanbul to Tiberias, you'll gain 1 hour due to the time zone difference. Traveling from Istanbul in July, expect somewhat warmer with lows of 30°C in Tiberias. Wrap up your sightseeing on the 13th (Mon) early enough to travel to Eilat. Start off your visit on the 14th (Tue): explore the gorgeous colors at Dolphin Reef, then see the vivid underwater world at Coral Beach Nature Reserve, and then observe the fascinating underwater world at Underwater Observatory Marine Park. Keep things going the next day: see some colorful creatures with a scuba or snorkeling tour and then admire nature's extreme beauty at Eilat Action. Plan trip to Eilat with our itinerary maker to find out where to go and what to do. You can do a combination of bus and flight from Tiberias to Eilat in 4 hours. Other options are to take a bus; or do a combination of bus and train. When traveling from Tiberias in July, plan for somewhat warmer days in Eilat, with highs around 47°C, while nights are about the same with lows around 32°C. Finish up your sightseeing early on the 15th (Wed) so you can catcht the bus to Ein Bokek. 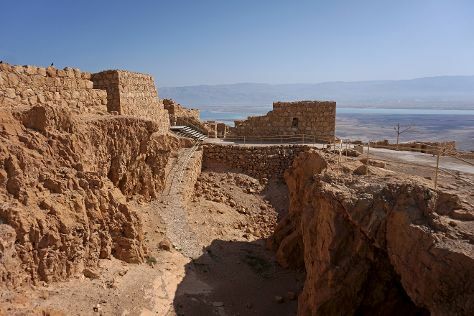 Kick off your visit on the 16th (Thu): explore the wealth of natural beauty at Masada National Park, then admire the striking features of Masada Fortress, and then admire nature's extreme beauty at Bokek River. Get ready for a full day of sightseeing on the next day: explore the fascinating landscape at Ein Gedi Botanical Garden, identify plant and animal life at En Gedi Nature Reserve, and then enjoy the sand and surf at Ein Bokek Beach. To see ratings, reviews, more things to do, and more tourist information, use the Ein Bokek driving holiday planner . Getting from Eilat to Ein Bokek by bus takes about 3 hours. Other options: drive. Wrap up your sightseeing on the 17th (Fri) early enough to take a bus to Jerusalem. Take a break from the city and head to Bet Guvrin-Maresha National Park and Safari Park. Yad Vashem - The World Holocaust Remembrance Center and Bible Lands Museum Jerusalem will appeal to museum buffs. Change things up with these side-trips from Jerusalem: Tayelet (in Tel Aviv) and Jaffa Old City (in Jaffa). Next up on the itinerary: explore the world behind art at Israel Museum, take a stroll through Old City of Jerusalem, and delve into the distant past at Western Wall. 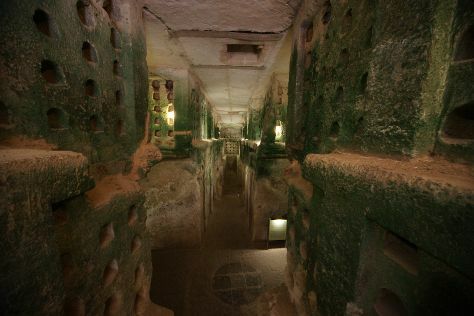 To see other places to visit, maps, where to stay, and more tourist information, refer to the Jerusalem tour builder . You can take a bus from Ein Bokek to Jerusalem in 2 hours. Wrap up your sightseeing on the 20th (Mon) early enough to travel to Cairo. 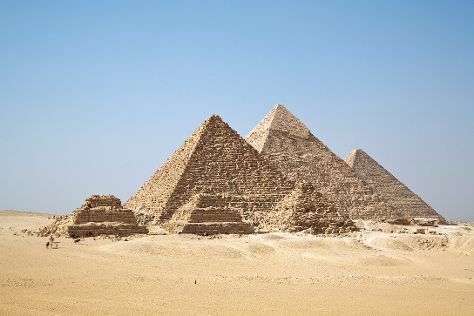 On the 21st (Tue), delve into the distant past at Pyramids of Giza, then pause for some photo ops at Great Sphinx, and then admire the landmark architecture of Hanging Church (El Muallaqa, Sitt Mariam, St Mary). Here are some ideas for day two: see some colorful creatures with a scuba or snorkeling tour. To see more things to do, traveler tips, other places to visit, and tourist information, go to the Cairo tour itinerary planner . Fly from Jerusalem to Cairo in 5 hours. In July, daily temperatures in Cairo can reach 41°C, while at night they dip to 28°C. 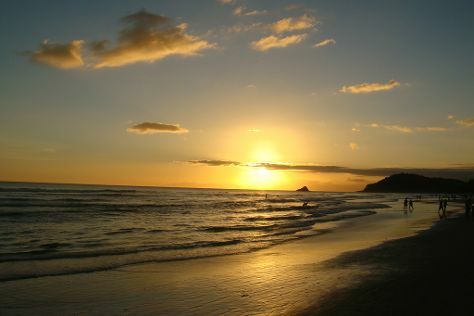 Cap off your sightseeing on the 22nd (Wed) early enough to travel to Ilhabela. Visiting Praia Vermelha and Curral Beach will get you outdoors. We've included these beaches for you: Arrozal Beach and Saco do Sombrio Beach. There's still lots to do: enjoy the sand and surf at Baia de Castelhanos Beach, take an in-depth tour of Waldemar Belisario Museum, stroll through Praia Pedra do Sino, and trek along Bonete Beach. Use Inspirock's suggestions to plan your Ilhabela trip and find the best activities and attractions for your vacation. The Route module can help you plan travel from Cairo to Ilhabela. You'll gain 5 hours traveling from Cairo to Ilhabela due to the time zone difference. Plan for cooler temperatures traveling from Cairo in July, with highs in Ilhabela at 28°C and lows at 14°C. Finish your sightseeing early on the 26th (Sun) to allow enough time to ride a ferry to Sao Sebastiao. In the 1990s, the area's rustic appeal, pleasant tropical climate, and wealth of unspoiled beaches made Sao Sebastiao holidays hugely popular with wealthy Brazilians seeking calmer, less congested coastal spots. Get outdoors at Juquehy Beach and Calhetas Beach. You'll enjoy a bit of beach vacationing at Maresias Beach and Praia do Costa. Change things up with a short trip to Corcovado Peak in Ubatuba (about 1h 15 min away). There's more to do: kick back and relax at Praia do Saco. To find where to stay, maps, traveler tips, and other tourist information, read Sao Sebastiao trip itinerary planning site . 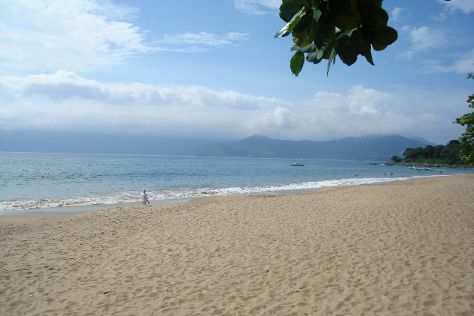 Sao Sebastiao is just a short distance from Ilhabela. In July in Sao Sebastiao, expect temperatures between 27°C during the day and 17°C at night. Finish up your sightseeing early on the 29th (Wed) so you can go by car back home.